Steelheads defeat Oilers 4-1, as Tulsa’s playoff hopes take another hit with two games remaining. 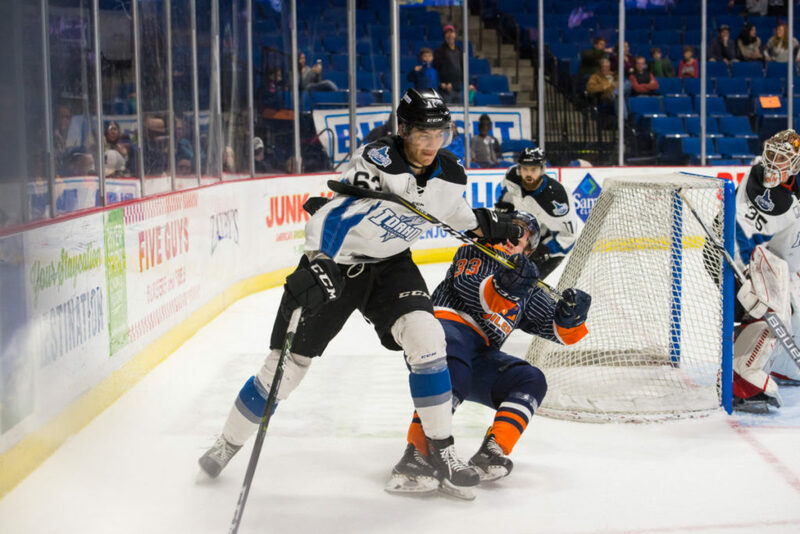 TULSA, OK – The Idaho Steelheads defeated the Tulsa Oilers 3-1 Wednesday at the BOK Center to land another blow to the Oilers playoff hopes entering the final weekend of the regular season. The Oilers outshot the Steelheads 16-5 in the opening frame, but Idaho scored twice off of two defensive zone turnovers. Eric Sweetman ripped the first goal into the top of the net from the right circle, and Justin Parizek buried the second on a centering pass from behind Tulsa’s net to make it 2-0 after one. The Steelheads made it 3-0 off of a face-off win, when Max French re-directed a shot from the point past Oilers starting goaltender Jake Hildebrand. Tulsa replaced Hildebrand with Devin Williams after the goal, and he stopped all six shots he faced. Idaho carried the 3-0 lead into the third. Tulsa captain Adam Pleskach spoiled the shutout bid of Idaho goaltender Tomas Sholl with a goal in the third period to bring the score to 3-1, but Steven McParland scored on a breakaway to put the game out of reach shortly thereafter. Sholl stopped 44 of 45 Oilers shots for his ninth straight win since joining the Steelheads. Tulsa finished the season with two home games against Rapid City this weekend. Friday’s game is “The Outsiders” Night, with the Oilers wearing special jerseys honoring the film classic, which will be auctioned off following the game with proceeds benefiting The Outsiders House Museum project. Saturday is Fan Appreciation Night, with a pregame block party outside the BOK Center. Tickets are available for all three games by calling 918-632-7825 or visiting www.tulsaoilers.com.